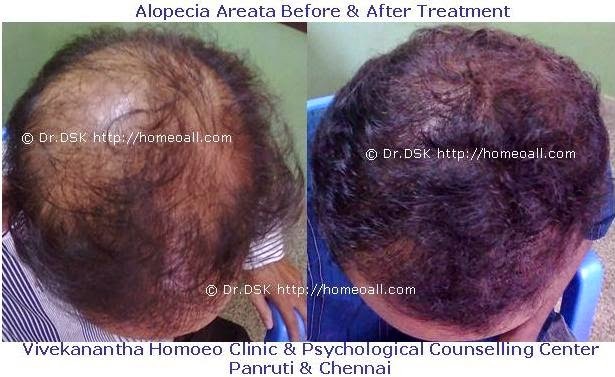 Alopecia areata is a condition that causes round patches of hair loss. The cause of alopecia areata is unknown. About a fifth of people with this condition have a family history of alopecia. Alopecia areata may sometimes occur with autoimmune diseases. Hairs that look like exclamation points are sometimes seen at the edges of a bald patch. Permanent hair loss is a possible complication of alopecia areata.